Created in 1990, the IWMF (www.iwmf.org) Courage in Journalism Awards honor women journalists who have shown extraordinary strength of character and integrity while reporting the news under dangerous or difficult circumstances. The Lifetime Achievement Award recognizes a woman journalist who has a pioneering spirit and whose determination has paved the way for women in the news media. Including this year`s award winners, 66 journalists have won Courage Awards and 18 journalists have been honored with Lifetime Achievement Awards. The 2009 awards will be presented in New York on October 20, 2009, and Los Angeles on October 28, 2009. We will send you an email confirmation within one business day. You may also call 202-567-2611 to RSVP. On Sept. 17, to Russia’s satisfaction and to Poland’s chagrin, President Obama announced canceling US plans to build a missile base in Poland and a radar system in the Czech Republic. The revelation came on the 70th anniversary of the Soviet invasion of Poland and was widely seen as US betrayal of its Eastern European ally. 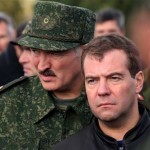 For Belarus, however, the date marked a second week of Zapad 2009 military exercise, in which Belarus and Russia fought an enemy armed to NATO standards and attacking from the West. There can be little doubt of what enemy they were preparing to counter. Fortunately, the change of US plans on missile defense in Europe has made the actualization of this disturbing scenario less likely. While President Barack Obama hardly remembered Belarus when deliberating the issue, his decision may have a positive effect on Belarus’ relationship with Poland and the European Union as a whole. The US decision on missile defense signals a more cautious stance on NATO expansion. If last year Ukraine’s NATO membership and consequent Russian outrage seemed probable, now it is now clear that decades may pass until Belarus borders a NATO state in the south. The agreement to station ten missile defense interceptors on Polish soil to counter potential Iranian attack was signed between the United States and Poland on August 20, 2008, – immediately after the Russia-Georgia clash over the separatist region of South Ossetia. In return for Polish hospitality, Washington was to provide Warsaw with 20 Patriot missiles – facing Moscow and, of course, Minsk. Strongly opposed to U.S. plans, Russia threatened to deploy ballistic missiles in Kaliningrad and/or Belarus. The missiles could be stationed at the air base Machulishchy, near Minsk. Had the US plans actualized, Russia would have probably proceeded to place its weapons on the Belarusian territory, forcing the country to the forefront of the East-West confrontation. As a result, Belarus’ participation in the Eastern Partnership would have come to an end, and its relations with the international community would have rapidly deteriorated. With no American rockets in Poland, an opportunity to mend Minsk’s relationship with Warsaw and Brussels has emerged. How much Belarus will benefit from the cancellation of US missile defense system in Europe depends on its willingness to overcome additional obstacles to the Minsk-E.U. rapport – Belarus’ authoritarianism, disregard for human rights, and economic dependence on Russia. In the nearly two decades of Belarus’ “independent” policymaking, its relationship with the West tended to reflect the dynamics of Russian-US relationship rather than the preferences of the Belarusian people or even Belarusian national interest. Although the country of Belarus’ size and geopolitical location must be advised to follow neutrality, Belarus has increasingly put itself on the front line of confrontation between Russia and the West. The Belarusian leadership must realize that close military cooperation with a state as unpopular as Russia entails excessively high risks. Like the United States, which was unwilling to come to Georgia’s rescue last summer, Russia is unlikely to prioritize the protection of satellites that are made targets by its own actions. On the crossroads between the East and West, Belarus should aim at becoming a bridge in the security architecture of the post-Cold War Europe rather than a battlefield for the United States and Russia to resolve their conflicts.